The Peninsula is arguably one of the most dramatic landscapes in the UK: granite cliffs – the highest in England – tower over Atlantic rollers, then dip down to deserted beaches. Astonishing folds and rock formations, wild heathland and rare fauna and flora mean that protecting these landscapes whilst promoting their enjoyment is an important part of living and visiting here, see below. Please help us by taking our two minute wildlife survey. As well as the astonishing coastline and clear, marine waters, the 17,000 acres of inland area are also strikingly special. Moorland, heath, quiet lanes, ancient wooded valleys - even the built environment is very beautiful: tiny cottages, rustic inns, 17th Century farmsteads, the glorious Hartland Abbey and St Nectan’s church... Use our Beaches & Beauty spots map to explore all this and much more. If you would like to find out more about how the North Devon AONB is helping to preserve and protect these incredible landscapes, then please click here. 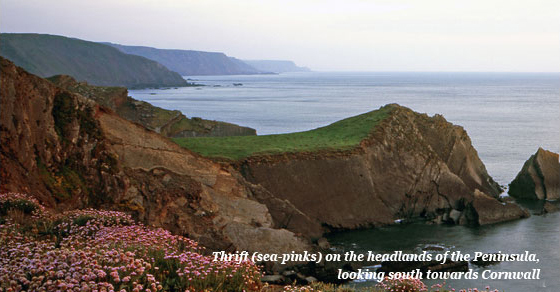 The Hartland Peninsula also forms part of the North Devon UNESCO Biosphere. Biosphere Reserves are places with world-class environments designated by the United Nations to promote and demonstrate a balanced relationship between people and nature. 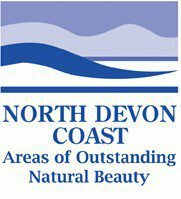 North Devon is a UNESCO Biosphere Reserve because of its blend of special landscapes and wildlife areas, rich cultural heritage and communities that care about it and want to sustain it into the future. 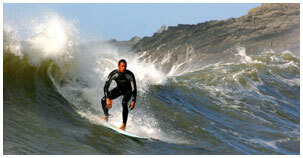 Find out more about how the Biosphere operates at the North Devon Biosphere Reserve website. Marsland to Clovelly Coast, 20K of incredible ‘folded cliffs’, waterfalls, ancient woodland and parkland. Lundy Island, just 3 miles long and half a mile wide, this extraordinarily beautiful car-free island is 11 miles off the coast and home to puffins, seals, deer and unique plants only found here. Click on any of the links above to go to Natural England’s pages on these beautiful places, or click here to find out more about SSI’s in general. 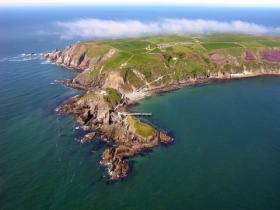 While the island itself is an SSI, the waters around Lundy form England’s only Marine Nature Reserve. They are of special importance because of their marine wildlife. They contain the finest examples of rocky reefs in Britain, with an amazing diversity of sea life including some very rare and fragile species. There are grey seals, dolphins, porpoises, lobsters and eight species of coral (which include pink sea fans, red sea fingers and dead man’s fingers). Lundy is also the only place in the UK where five cup corals exist together. Find out more at Natural England’s Lundy Marine Nature Reserve pages.